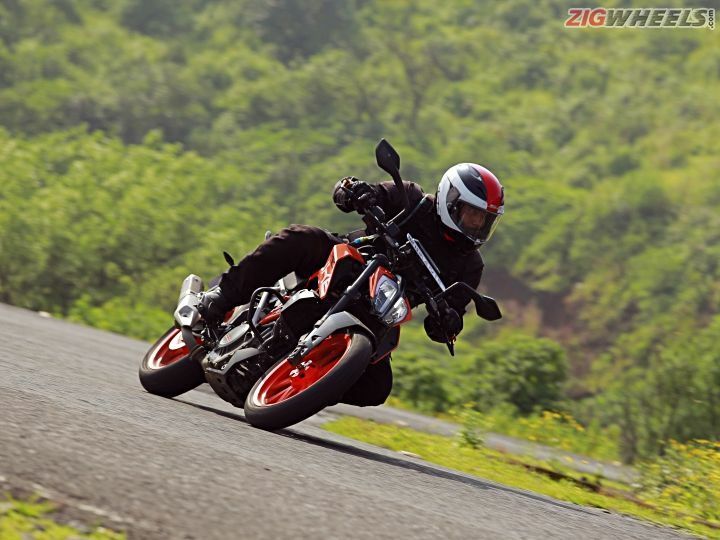 When it comes to power figures, the KTM 390 Duke wins hands down. Despite having an extra cylinder, the TNT 300 makes 4.8PS and 10.5Nm less than the Austrian hooligan. 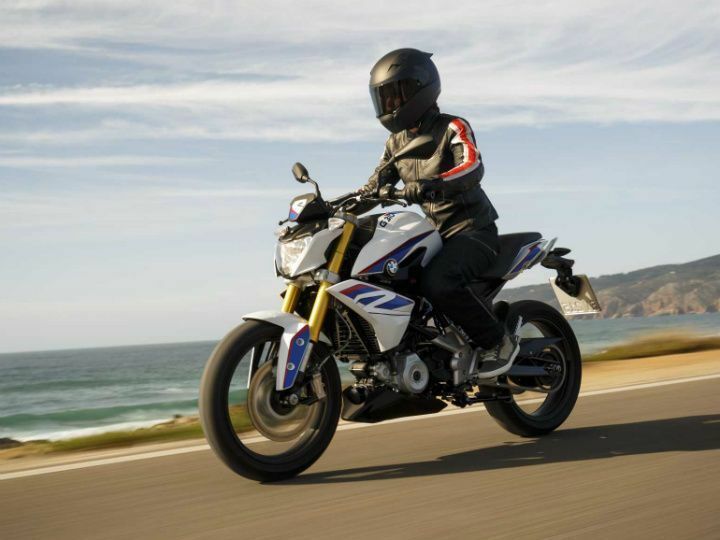 Though the BMW G 310 R has a respectable power figure, it trails just behind the TNT when it comes to torque. Interestingly, the power-biased TNT 300’s motor makes the least amount of torque. The Duke and theBajaj Dominar 400 enjoy the benefit of having a slipper clutch which prevents the rear wheel from locking up during aggressive downshifting. 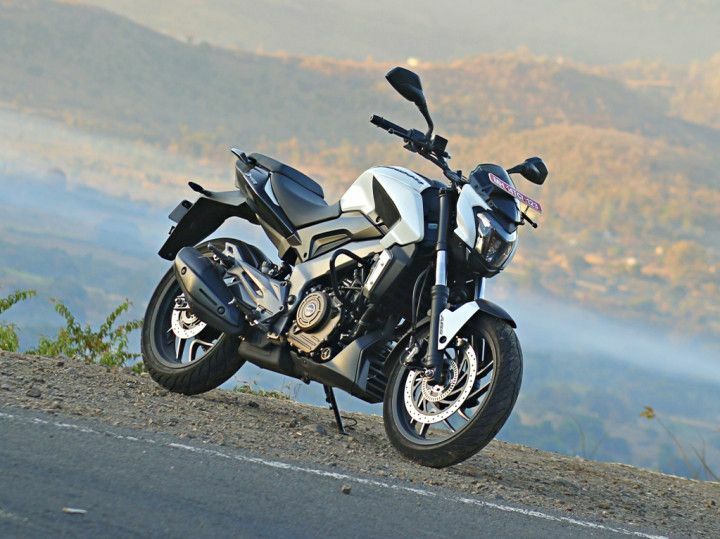 Except the Dominar, all the motorcycles feature sophisticated front forks. However, the Dominar’s telescopic forks can handle oil leaks much better than the inverted units, should it fail on Indian roads. 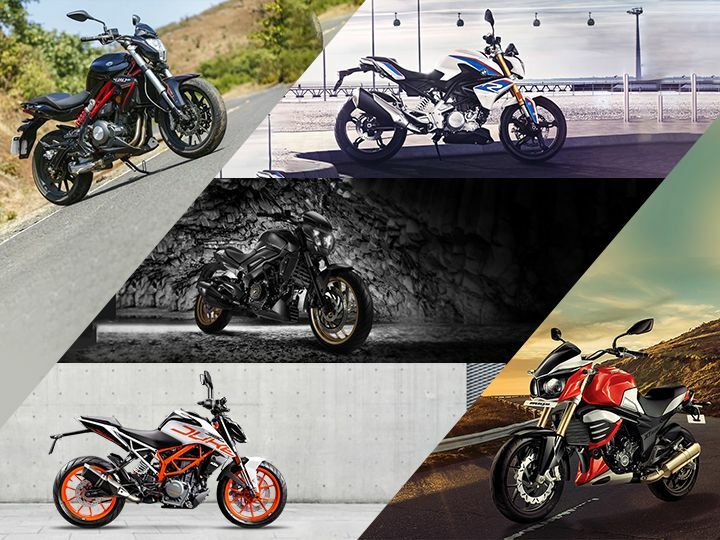 Coming to the brakes, only the Mojo lacks ABS, while the other motorcycles feature a dual-channel unit either as standard or at least as an option. But for touring, the Mojo offers superior range, thanks to the massive 21-litre fuel tank. The Beemer gets the smallest fuel tank capacity, which may be a hindrance if one wishes to do long-distance rides. The KTM 390 Duke’s instrumentation is the most advanced of the lot, complete with a TFT colour display. The BMW’s instrumentation is also reasonably informative, showing fuel consumption and range, apart from the regular trove of data. The Dominar 400, Mojo XT 300 and the TNT 300 feature no-nonsense instrument clusters with the usual features like speedometer, tachometer, odometer, fuel gauge, trip meter and tell-tale lights. At Rs 1.62 lakh, ex-showroom Delhi, the Dominar offers the best value for money, with an all-round package. The bike is reasonably comfortable for both city commutes and highway touring, and its maintenance is relatively affordable as well. If you’re in the market for the most sophisticated, powerful motorcycle, the KTM 390 Duke is the ideal choice, while still being a value-laden proposition. The G 310 R will appeal to those who want an elegant looking motorcycle with decent performance to boot and snob value. We expect BMW Motorrad to price its entry-level motorcycle at an ex-showroom price of Rs 3 lakh. Sure it commands a premium, probably it's the price you pay for German quality.